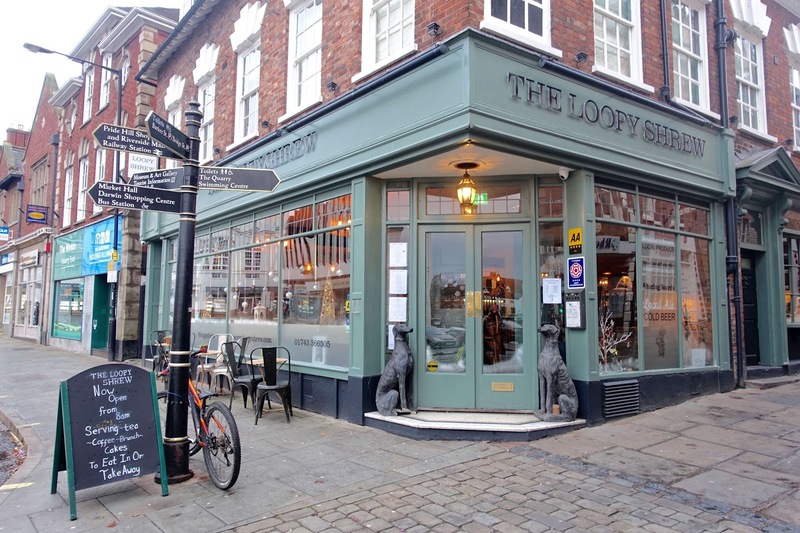 During our press trip to Shrewsbury, the Sunday afternoon we were booked in for a late lunch around 3 pm at The Loopy Shrew - a wine bar, coffee bar, restaurant, and boutique hotel in the center of Shrewsbury town. 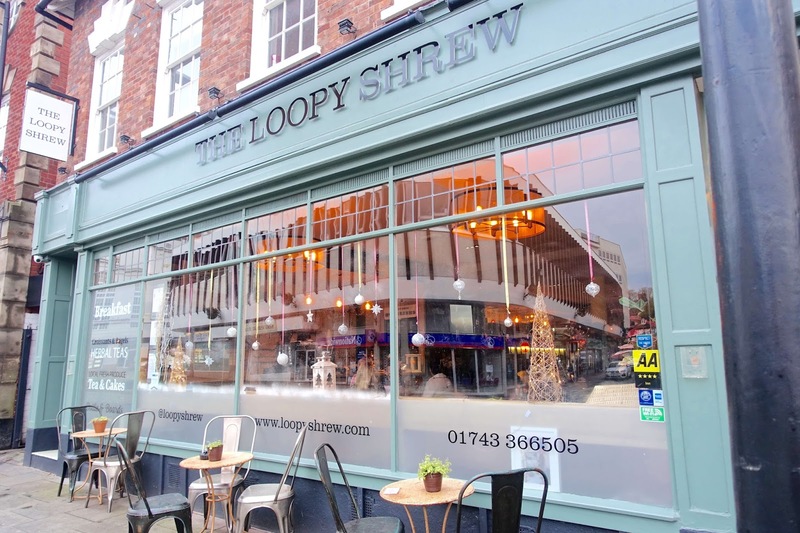 The Loopy Shrew is a family-run business located in the heart of the town. It is actually the sister restaurant to Darwin's Townhouse, the Georgian townhouse where we had retired to the previous night. Bearing in mind we had already devoured a huge full-English breakfast at Darwin's Townhouse earlier that morning (around 9.30am) so it was inevitable I would still be struggling for room around 3 pm, however, we were determined to sample an array of eateries during our time in Shropshire, especially with the nibbles on offer at the loopy shrew. So whats the food like? Believe it or not, boys will be boys, Alex was able to stomach a HUGE roast dinner, which looked absolutely delicious with an enormous homemade yorkshire pudding stacked on top, whereas, I decided to stay small, with Loopy's famous scotch egg served with piccalilli and a herb salad (£6) as well as grabbing myself a side of sweet potato fries with aioli (£3.50). 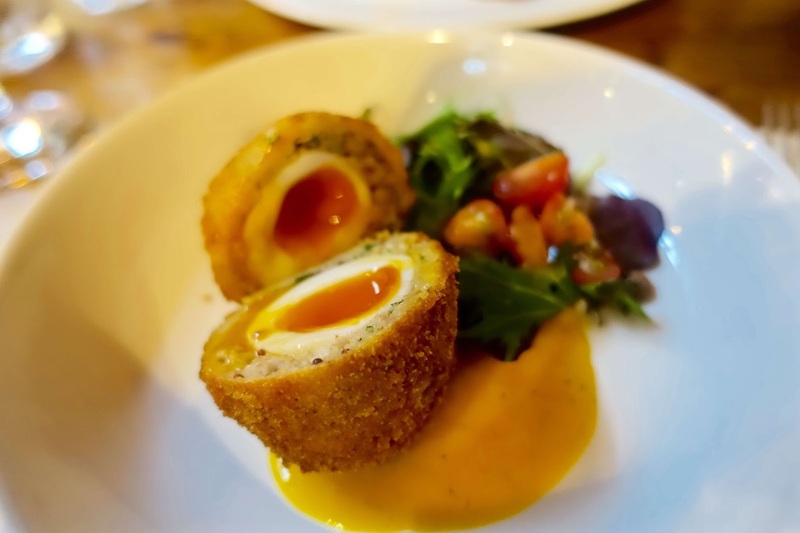 The scotch egg was just what I needed, the perfectly oozy egg drooled all over the shiny white plates and piccalilli complimented while packing a punch in every mouthful. 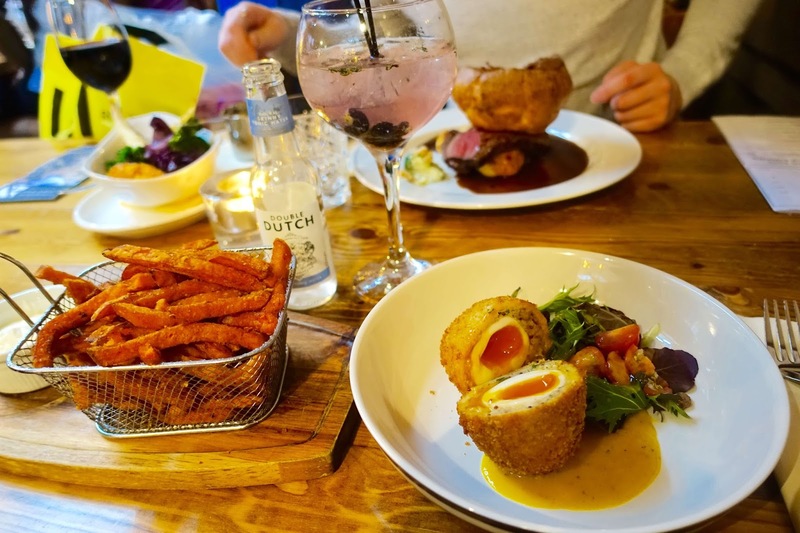 Whether you want to slouch in a comfy armchair with a glass of wine or enjoy a three-course meal in the dining area, The Loopy Shrew caters for all occasions. The atmosphere is relaxed and casual with an array of mismatched furniture all-over. 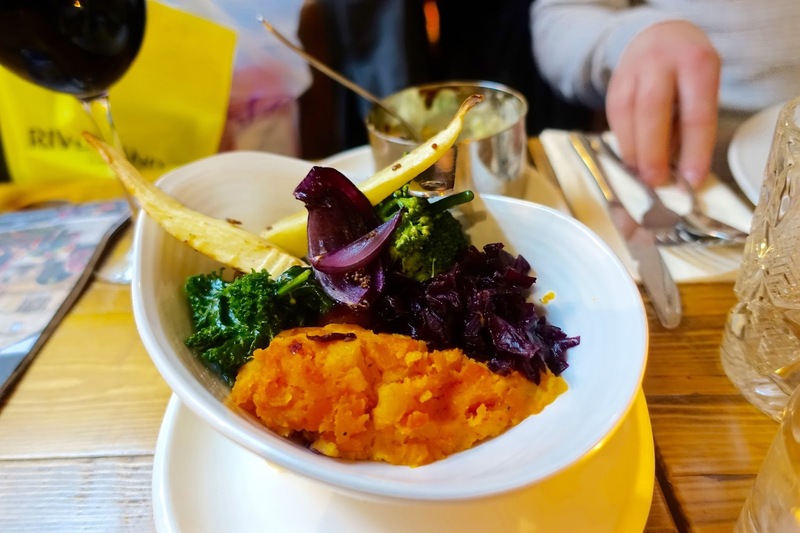 With a breakfast, brunch, lunch, evening and vegetarian menu theres plenty of choice for everyone. 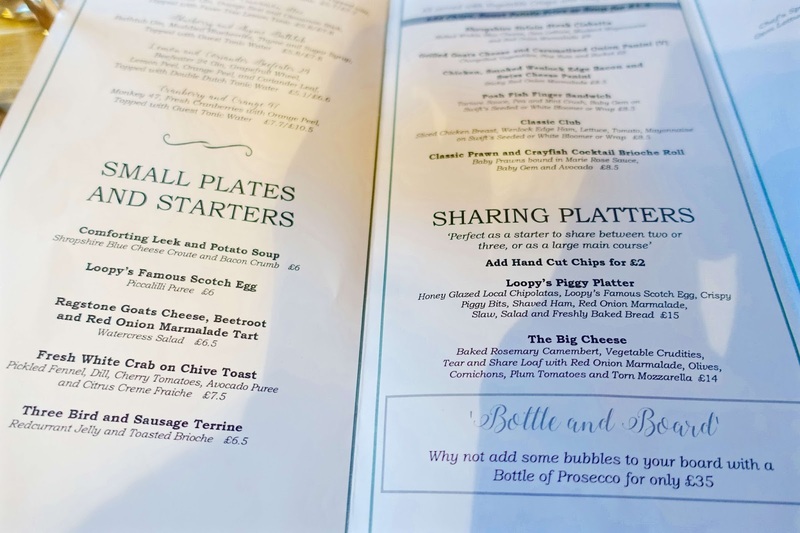 Personally, in these kind of surroundings I always favour a menu that offers a variety of casual bites with a range of small plates and sharing boards. Not ready to leave? How about a Sunday Sleepover? 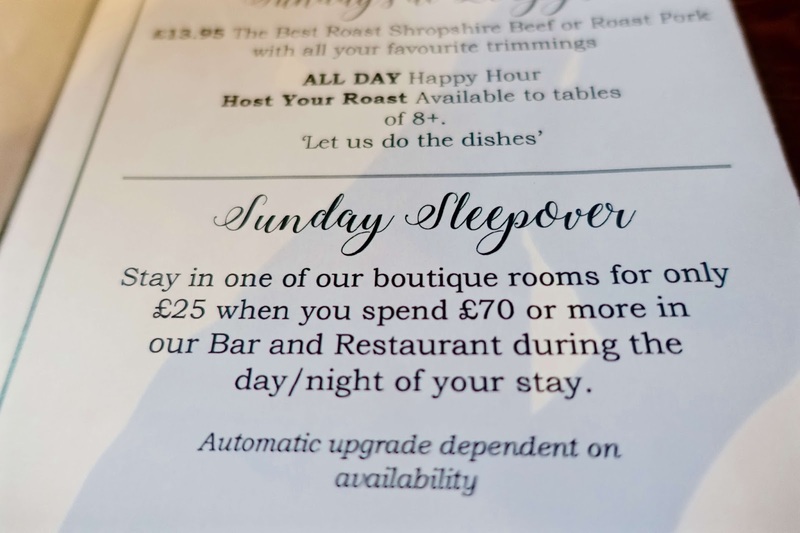 It's worth mentioning that the Loopy Shrew also have a great "Sunday Sleepover" deal whereby a boutique room for the night will only cost you a mere £25 if you happen to spend £70 or more in the bar or restaurant during the day/night of your stay (which really isn't hard at all between two of you if you having a couple of courses each and some drinks). I was so tempted by this offer but unfortunately we had to head back down south on a three hour journey straight after our meal. 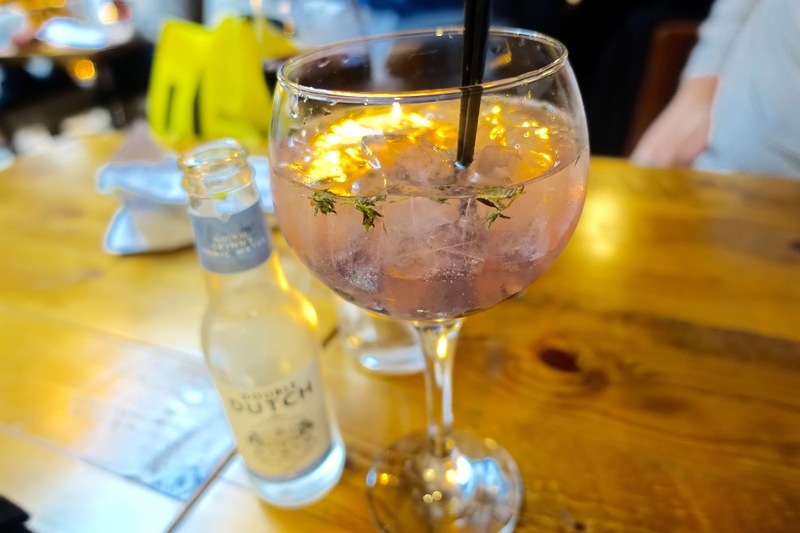 If you are local, why not treat yourself to a staycation before work? I know I definitely would and I think it would definitely help to banish those Monday Blues!